When I first came to Miami this time last year, one name was on everyone’s lips when it came to speciality coffee: Panther Coffee. From its home in Wynwood, where all the coffee’s roasted on-site, it had grown to a chain of three shops, all in Miami (although since my visit, another three branches have opened, including two in the last month!). Sadly I wasn’t in Miami for long last time, so only had the chance to visit the original in Wynwood. However, on my return, I was determine to explore, so as I drove into Miami from the Everglades last night, I made a detour to visit the Coconut Grove branch. Very different in look and feel to Wynwood, it’s long and thin, with the counter on the right. 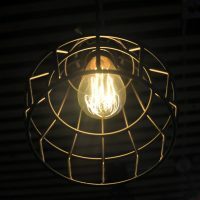 You’ll find all the usual Panther Coffee goodies here, with a choice between the East and West Coast espresso blends, plus multiple single-origins on filter, with Chemex or Clever Dripper if you’re prepared to wait, or bulk-brew if you’re not. There’s also cold brew and a collection of soft drinks as well as some craft beer. This is all rounded off with a limited selection of ready-made sandwiches and cakes/cookies. My first-ever visit to Miami was in February 2017, when I called in on the wonderful Panther Coffee. Back then, I wrote about the roasting side of the business, the Wynwood branch doubling (for now) as the roastery. Today it’s the turn of the Wynwood branch to feature as a Coffee Spot in its own right. Set back from the busy 2nd Avenue, Wynwood occupies a free-standing, single-storey building, with a large outdoor seating area, perhaps three times the size of the interior. Much of this is centred on a lovely, old tree, which, I imagine, provides much-needed shade in the summer. Inside, the counter shares the space with the roaster, although Panther has plans to move to a new roasting facility, so it may not be there for much longer. There’s seating opposite the counter and in an annex to the right of the door, but I suspect that most people choose to sit outside. 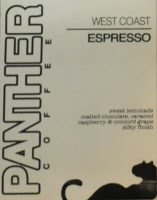 Panther serves its East Coast and West Coast espresso blends from a concise menu thankfully lacking the buckets-of-milk sizes. 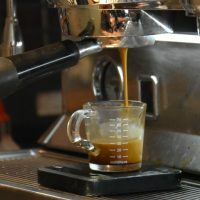 There are seven single-origins available through a variety of (filter) brew-methods, plus bulk-brew and cold brew, along with a selection of cakes/cookies.